That is sure is red, but that tiger sure overshadows it! What a majestic cat. Indeed, he does overshadow his ruby red toy. 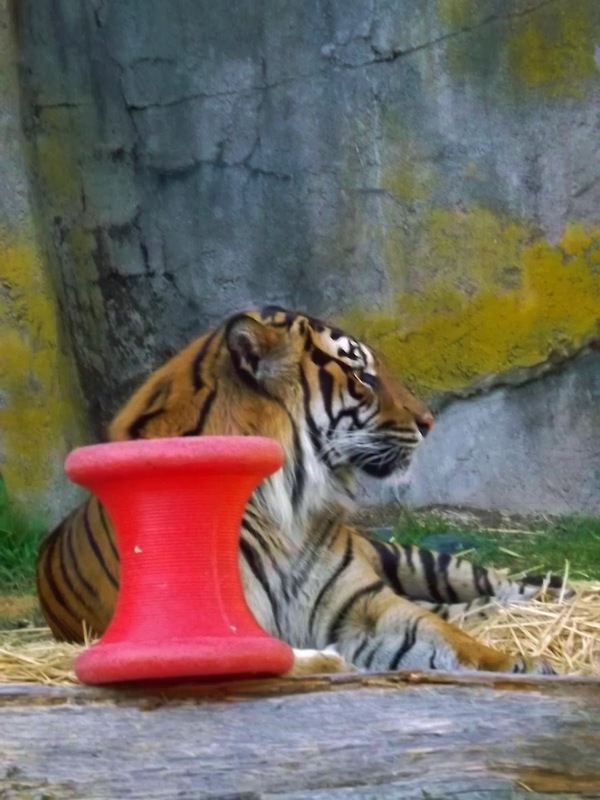 A tiger with his toy!